1 Year… Can I have another? 1 year. I’ve finally crossed that mark. 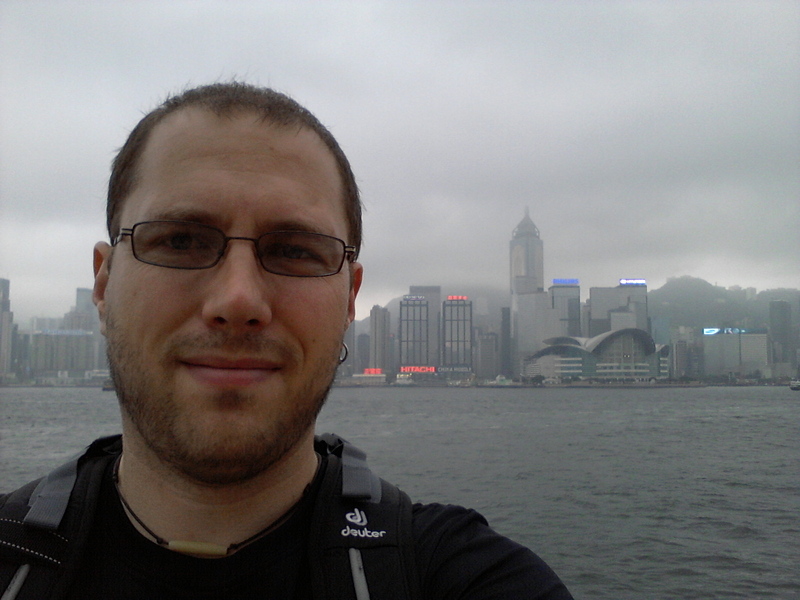 I’ve been living as an Expat in Hong Kong working, playing, learning, living. It is something I wish I would have done earlier in my life rather than in my 30’s. I’ve seen, experienced and learned so much in one small year than any other thing I’ve done in the United States… and I’ve been fortunate that I’ve done quite a bit. Looking back at the last 12 months, I feel like I’m a turtle finally coming out of my naive shell. I began to notice this change when I went home for Christmas last year. Simple things that my family and friends did or didn’t do that showed me what I used to be like. Now I feel more intelligent more cultured and more aware of myself and the world around me. I firmly believe that every American should live abroad (and I’m not talking Canada) for at least 6 months. It is amazing all that I’ve experienced and accomplished. School/College, compared to the life lessons and professional growth I’ve had in Hong Kong, is vastly inferior. Now that I’m fully settled, in a job I enjoy and have a solid network of friends, I look forward to the next 12 months. I think the next year will be even more rich and rewarding. It feels like now are the greatest days of my life. It seems like I always feel that way, from High School to College to my years in San Francisco and now living abroad. All I know is that I’m grateful for the support and opportunities that have been given to me. I just had the longest plane ride of my life. I’m not sure if I can describe the stiff, tired, daze I was in when I stepped off the plane after 16 hours. I have the address of my friend’s flat on Hong Kong Island and simply have to get there… at 11pm at night. Navigating airports, light-rails, and taxis are fairly straight forward in my opinion no matter what city or country you’re in. So I purchase my ticket for the MTR, Hong Kong’s main form of mass transit that is very similar to San Francisco’s BART only much larger, faster, nicer, and cleaner. Oh… and cheaper! This takes me from Lantau Island to Hong Kong where I catch a taxi to the apt building. Time to pass out! A slight adjustment… Friday is my first real day in the city. As tired as I was, I woke up at 5:30a and could not go back to sleep. So I get ready and head out to the area of town my friend works in called Tsim Sha Tsu which is on the Kowloon side (mainland side) of Hong Kong. This place is one giant mall! There are shops and cafés along every sidewalk and malls inside every building on the corners. I lost count of how many Indian men tried to sell me a custom tailored suit… I end up wandering through an occasional mall to latch onto their open wifi since my phone service won’t work here (or it does but I’ll get charged my two firstborn). I begin to notice things now… Things are very cramped and crowded. Buildings are tall, sidewalks are narrow, and the air is heavy with smog and humid with the wet summer heat. The streets, aside from the city grime, are surprisingly free from litter. The interior of all buildings is pristine clean, and everything is stupidly efficient and state-of-the-art. Lastly, I can count on one hand how many non-Asians I pass by. I am in the severe minority. On my first weekend in town I am able to hang out with the small handful of people I know. 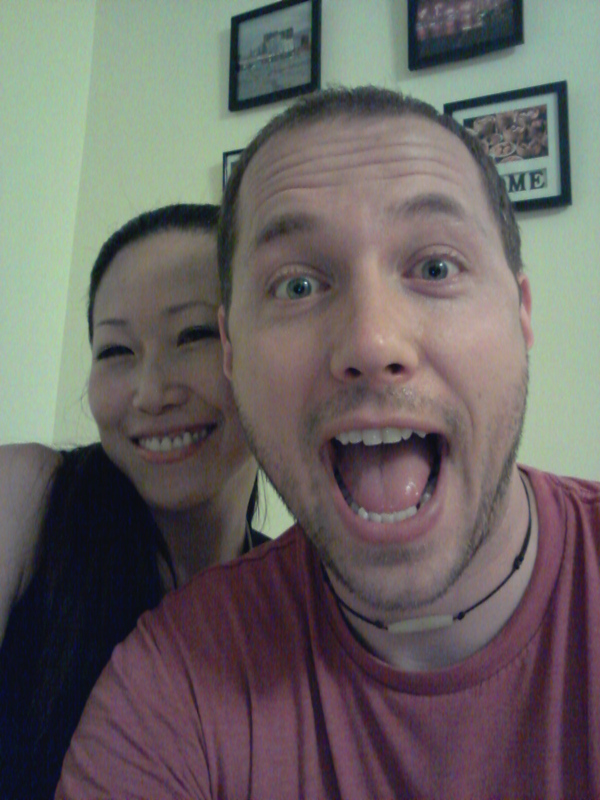 First, I head to Lan Kwai Fong. This is the main nightlife area in the Central district of Hong Kong (the main downtown area). My new company just happens to be having an event so I decide to participate to get a feel for what I will be doing, meet my coworkers, and have a little fun exploring. The event is called ‘A Taste of LKF’ and is designed to highlight the many great restaurants in an area that is primarily known for its bars and clubs. I meet my staff on a very sunny and very hot day. Everyone is very nice but there is not too much time to chat as they are working. I receive a custom map and info about the area and the venues I will be visiting. Along the way, each restaurant has the option of a white or red wine paired with a small food plate. I spend the afternoon sampling it all: food, wine, venues, people, the area… 9 stops in total. On Sunday, I get to enjoy a brunch of Chinese Dim Sum followed by a tour of the Sunday markets. The next week I am on my own. My apartment search begins as does some shopping for a few necessities, all mixed in with lots of sightseeing to learn my new surroundings. One particular journey of note is my excursion to the ‘Big Buddha’. This is a 112 ft tall bronze statue resting at the top of a small mountain near Ngong Ping village and the Po Lin Buddhist Monastery. I had to take a 20 min cable car ride up to the village. Once there, the trek to the statue itself is up 240 stairs. Inside is a shrine that is said to house a bone relic from Buddha himself! Towards the end of the week, two things happen. I have my first day of work and I find a flat. My first 2 days (a Thurs and Fri) are really just to get settled in and go through orientation. I mostly spend my time filling out paperwork, getting my computer set up, and learning more about the company. What I’m happier about is finding a place to live with 2 great roommates (both from London). After living out of a suitcase for nearly a month, I’m ready to have my own place with my own bed.